Mr. Jerry R. Hamil, age 60, of Valley, Alabama passed away at his residence on Saturday, September 8th, 2018. Mr. Hamil was born in Langdale, Alabama on October 7th, 1957 to James Ralph Hamil and Mary Joan Hadaway Hamil. He was preceded in death by his father, James Ralph Hamil. Mr. Hamil was of the Baptist faith. He attended the New Unity Church. He loved the Lord and gospel music. 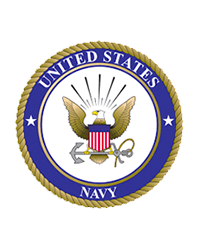 He served his county in the United States Navy, where he was a Navy Seabee. Jerry was a family oriented man who loved his family. He was a wonderful husband, father, and grandfather. He adored his wife, Dorothy. Jerry was a retired truck driver who enjoyed going on adventures with his family, working on cars in his spare time, searching for antiques with his children, and CB Radio. He loved his daughter’s cooking and even took an interest himself in cooking at one time. He and Dorothy loved their trips to the beach and the time that they spent there together. He is survived by his wife, Dorothy J. Hamil; mother, Joan Hamil; children, Robin (Brian Hughey) Bassett, Tiffany (Scott) Hilyer; grandchildren, Sierra Denise Bassett, Cameron Bryant Bassett, Michael Randall Love, Jr., Cadance Walker Knight; sister, Elsie McKeehan; special cousins, Randy Hadaway, Robbie Hadaway, Wade Hadaway. Funeral services will be held on Sunday, September 16th, 2018 at 2:00P.M. EDT at the Johnson Brown-Service Funeral Home chapel in Valley with the Reverend Derek Hubbard officiating. Interment will follow in Fairfax Cemetery. Jerry’s family will be receiving friends at the funeral home Saturday evening from 6:00P.M. EDT until 8:00P.M. EDT. Please visit his Memorial Tribute page at www.johnsonbrownservicefh.com to leave a condolence for his family, share a memory of Jerry, or to light a Remembrance Candle in his memory. Johnson Brown-Service Funeral Home of Valley is directing the service.